After we had decided to book our trip to Paris, I began researching everything from transport, hotels and restaurants to shopping, museums and French culture. The more I read about Paris the more I realised there was far too much to see and do in five days and we would have to be really selective about how we spent our time. Kate, Eric and I had all been to Paris before but it was Donnacha's first time there. The two times I have been to Paris before were day trips when I was 9 and then again when I was 15 and I only had time to see the Eiffel Tower, Notre Dame and the Champs Elysées (oh and EuroDisney). As it was the four of us going we had to compromise on where we wanted to go and what to see (or go off on our own which no one wanted to do), but we didn't have any problems agreeing on places because there is so much to see in Paris. But the first thing we had to do was find somewhere to stay! Our main concern when looking for accommodation was our budget. I'm not going to lie, we really did do Paris on a tight budget. We had a set amount of money we could afford to spend on a place to stay and we couldn't go over that amount. Kate and I got together a few times and looked through sites like Trip Advisor, Booking.com and Paris Stay and found it really difficult to find somewhere central within our price range with good reviews. Paris is an expensive city to stay in, the hotels were definitely more expensive than Rome. 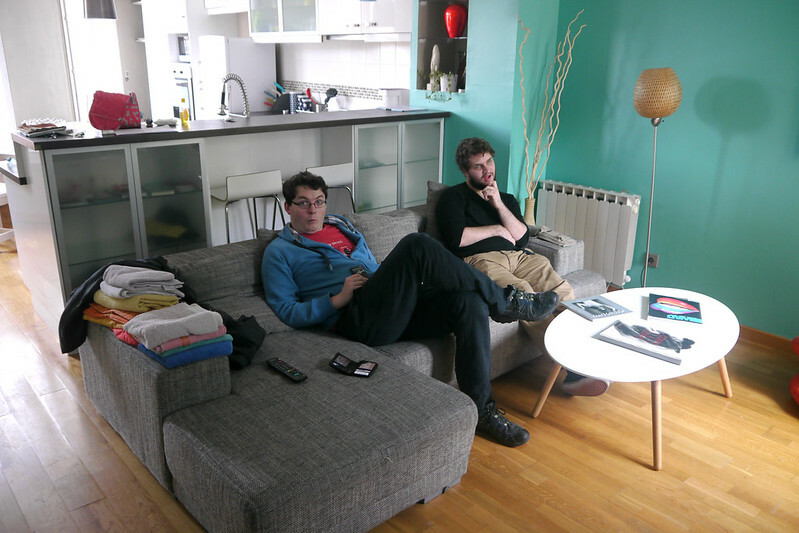 In the end we decided the best option would be to rent a 2 bedroom apartment for the 4 nights and venture a bit further out in order to get the best value for money. We found ours via AirBnB.com and it was such an amazing deal (please email me if you want more details or the link to the apartment). 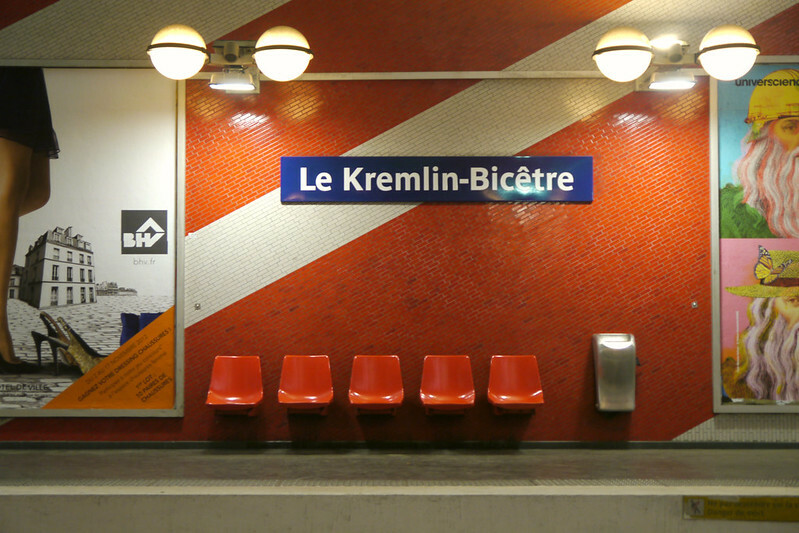 The apartment itself was about a 5 minute walk from the Kremlin Bicetre Metro stop so it took about 15 minutes to get right into the centre of the city. Remember when looking for accommodation to read every review you can, enter the hotel name or address into google and see what comes up that might have been written on another site. You can also go on street view so you know exactly where it is and what the area looks like. If you're renting and apartment don't be afraid to email people who have written reviews if you can or ask the person who owns it for tips about the area. We were really lucky that the guy who rented out our apartment to us sent us a PDF with loads of information in it about the building, the apartment and the area including recommending places to eat and the nearest Metro station. There was a huge shopping centre on the same road as the Metro stop near our apartment that had a big supermarket in it called Auchan. This was such a money-saver. We went there after unpacking and bought supplies for a couple of days and things like bread, sandwich fillings, milk and bottled water. We only actually ate out twice in the five days and all other meals we made ourselves and we brought packed lunches and snacks with us every day. Paris isn't like Dublin in that it's hard to find places to just grab a take away sandwich or something so you have to be prepared if you don't want to eat out for every meal which can quickly add up. It's also a really good idea to bring snacks with you when queuing for things like the Eiffel Tower which can take a long time. You'll also be doing a LOT of walking so you'll need to eat a bit more for energy! We had a few treats though, I insisted that we went to Ladurée on the Champs Elysées for coffee and macarons. It was pricey but so worth it for the experience, Kate even said it was one of her favourite things we did. We (Donnacha) also went out each morning to get fresh croissants from the amazing bakery on our road. I love the French obsession with pistachios! Public transport is a bit of a no-brainer in Paris. I could not get over how easy it was for non French speaking people to make their way around the city. I have a moderate level of French and one of the biggest tips I can give you is to please for the love of God, learn some basic French if you are going to Paris (this applies to all countries you visit where you don't speak the language). I cannot tell you how far even the smallest amount of French comprehension and speaking ability can get you. Even if you can only say a few things, it makes a world of difference and will make your trip so much easier. Having said that, the transport system in Paris is colour coded and numbered so after a period of adjustment, if you take you time the first few Metro rides you can probably quite easily find your way around. This is an area where you can possibly save a lot of money. If you are an EU citizen aged between 18-24/25 depending on the museum or attraction, you can get into most places free of charge or at a concession. Versailles and the Louvre Museum are both free in if you are an EU citizen under 26, Musée d'Orsay and the Eiffel Tower do concessions tickets. It's also a good idea to keep a little notebook with you that has opening times and days when places offer concessions during certain periods of time if you are over the age of 26 or a non- EU citizen. If you think you might be entitled to free entry, remember to take your passport as proof of age. If you plan on visiting EuroDisney, they often have special offers and reductions on at different times of the year and you can sometimes buy your ticket for half the price when you get to Paris. Obviously there are a lot of attractions that you don't have to pay to see like Notre Dame (you only pay to walk up to the top, but inside the cathedral is free), Sacre Coeur, Montmartre, Pere Lachaise, the Champs Elysées, Pont des Arts, Jardins du Luxembourg etc. If you're visiting the Eiffel Tower, try to go at an off-peak time if possible otherwise you could be queuing for a long time (we went on a rainy Monday in November and queued for about an hour). A good way to see the tower is to start queuing in the late afternoon, depending on the time of year and then you get to see the views in daylight and at night when the city is all lit up. Time management is another big thing to keep in mind. Almost everywhere we went took much longer than we thought. We thought we would fit in much more than we did but you can spend all day in some places (Donnacha and I spent most of one of the days in Pere Lachaise). Plan your routes and bring a map with all of the places you want to see marked on it so you visit places that are close to each other at the same time. The next time I go I would probably stay a little longer and take my time in certain places to make sure I get to see everything properly. Something that we all found really helpful was watching French films to get used to hearing and understanding French again as I had forgotten a lot of mine from college. I found that I picked it up again a lot quicker than I thought I would. It's also nice to see locations that you will be visiting beforehand. Travel light, carry a small cross body bag/backpack so that you don't have to worry about it when walking around and getting on and off the Metro. I don't think you're any more likely to be pick-pocketed in Paris than a city in your own country, the only threat would possibly be in queues and crowded tourist attractions but if you keep your wits about you then you shouldn't have any issues. Do your research before you go on everything from places to eat and drink to the best places to shop and seasonal exhibitions in museums. Read blogs by French bloggers as most have a section about Paris on their homepage ( Betty Le Blog de Betty, Louise Miss Pandora, Alix The Cherry Blossom Girl and Joanna La Mignonette are some of my favourites. 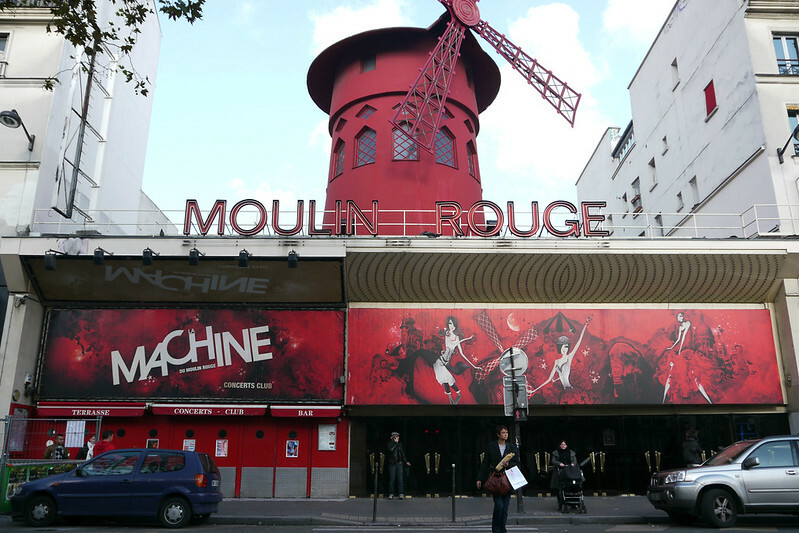 Elsa Billgren also has a great post on her tips for visiting Paris. Aafter that very long post, I hope you have a better idea about visiting Paris. Please bear in mind, this is just my opinion based on my personal experience (and Kate, Eric and Donnacha who I asked to help me with ideas) and is not a definitive guide by any means. If you have any more specific questions or if you would like more information on any of the topics I discussed, please don't hesitate to email me at olgreeneyesblog@gmail.com. PS. I didn't want to make a bit thing of it but I just wanted to say a huge huge thank you for the comments and messages about my grandad. I know most of you can relate in some way and it really helps to know that people are thinking of me and my family. I've never had to properly grieve before so it's all a learning process. Thank you for bearing with me over the past couple of months when things have been so erratic around here. Blogging this past few months has meant more to me than ever before. My heartfelt appreciation goes out to you all! Hello, dear Emma! 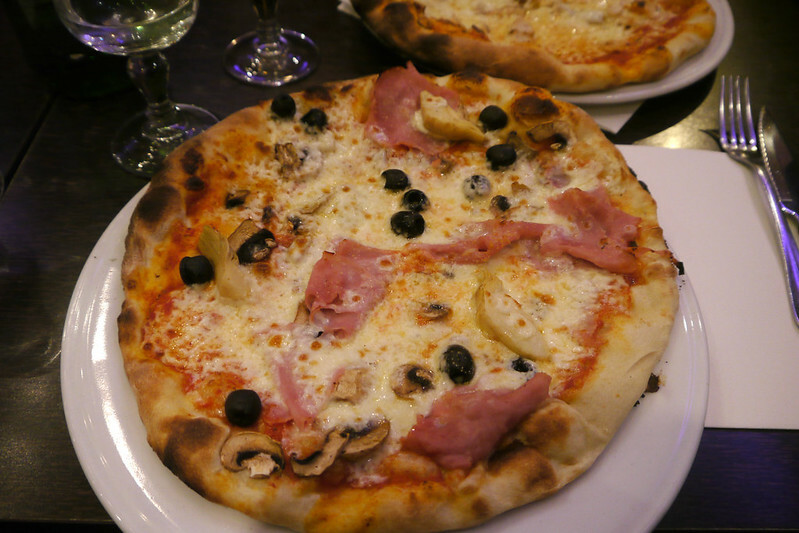 This post of yours provides loads of valuable tips for anyone planning to visit Paris. You and your friends played it smart by securing lodging outside the city but close to transportation and a supermarket. Time management is a very important point because we all tend to bite off more than we can chew, vastly underestimating the amount of time it takes to see places of interest on our list. Very nice post, dear friend! Regarding your last paragraph, it warms my heart to know that blogging means so much to you. I think you have come to realize that blog friends are real friends and those of us who follow you really do care about you. I hope every day gets a little easier as you continue to work through the grieving process. Thanks Tom, I agree that blog friends are real friends! I definitely time management is one of the hardest things to do when you're on holidays because you want to take your time and enjoy yourself but also fit in as much sightseeing as you can. I think we managed to get a good balance between the two! This is so helpful we're planning to go to Paris this June for the first time so I may actually contact you about the apartment you stayed in! Ohh how exciting! Please do! I'll try and be as helpful as I can! what a grand time you must be having! paris would be so wonderful to visit, i have always dreamed of going! I hope you get to go sometime, Paris is too beautiful, everyone should get to see it!